Head coach and instructor Joao Amaral is a 4th-degree black belt In Brazilian Jiu-Jitsu with experience in No-Gi grappling as well as mixed martial arts. 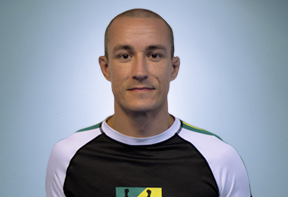 He has trained with the some of the most renowned names in both BJJ and MMA. 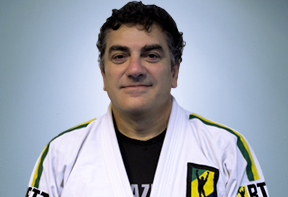 Professor Joao Amaral was first introduced to the grappling arts at the age of 6 where he participated in Judo. At the age of 13 he transitioned to Brazilian Jiu-Jitsu under the tutelage of Crezio Souza; a prominent member of the famed Carlson Gracie Team. 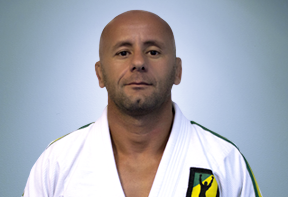 Brazilian Top Team was then established in 2000 and Professor Joao transitioned over along with many other teammates. As an avid competitor, Professor Joao Amaral competed in countless tournaments, such as NAGA, Pan American, Jiu-Jitsu Championships, Brazilian National Championships, Arnold Classic and the US Open. He has also competed as a professional fighter in the sport of MMA. Some of his greatest accomplishments are his students. Professor Joao Amaral continues to teach and train several World champions, as well as Pan American, Abu Dhabi and MMA champions. He has also lead several Law Enforcement seminars during his time in Massachusetts. He can be contacted for private lessons where he will be able to focus on individual students and through one on one instruction will help grow your technique and knowledge of Brazilian Jiu-Jitsu. Matt Janzer is the Muay Thai and kickboxing coach here at BTT Boca Raton, FL. He also runs our strength and conditioning classes in which he blends his knowledge of fitness with the exciting training regimen of kickboxing. His use of plyometrics, weight training and “boot camp” style exercises have helped many BTT members lose body fat, increase muscle mass and improve overall health. His exciting and unique takes on exercise are ideal for anyone regardless of fitness goals. Matt is a certified trainer through the World Fitness Association and has extensive amateur experience in Muay Thai and kickboxing. Clay Contouris is a second-degree black belt in Judo, a brown belt in Brazilian Jui Jitsu, and has several years of Aikido experience. Clay started studying Judo with Jack Williams over 25 years ago. Sensei Jack is a 7th-degree black belt and has been admitted to both the Black Belt Hall of Fame and The World Martial Arts Hall of Fame. Clay has competed in both Shiai and Kata. In 2010, he was recognized by USA judo as a National level coach. He was also awarded a Judo teaching certificate from the USJF. That year he also coached his children to two 2nd place titles in national competitions. His daughter was ranked #2 in the country for her age and weight by USA Judo. Clay enjoys practicing and teaching Judo and the parts of BJJ and Aikido that can be applied in Judo. He enjoys teaching Judo for fun, sport, self-defense, and Kata. Beautiful gym. Outstanding head coach. Family oriented. If you are looking for a Brazilian Jiu Jitsu academy, look no further. Professor Joao Amaral is absolutely the most respected in the area. Highly recommend.